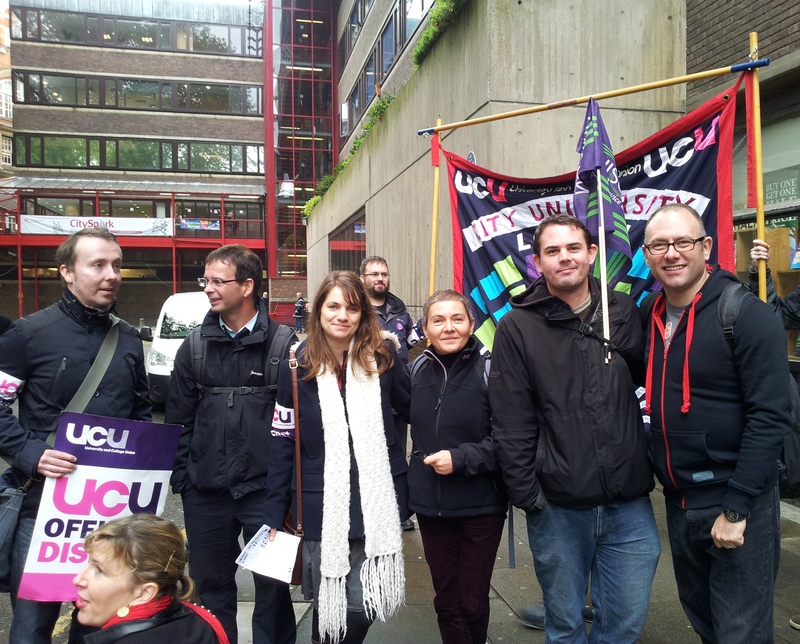 I was proud to be on the picket line with my colleagues on 31st October. 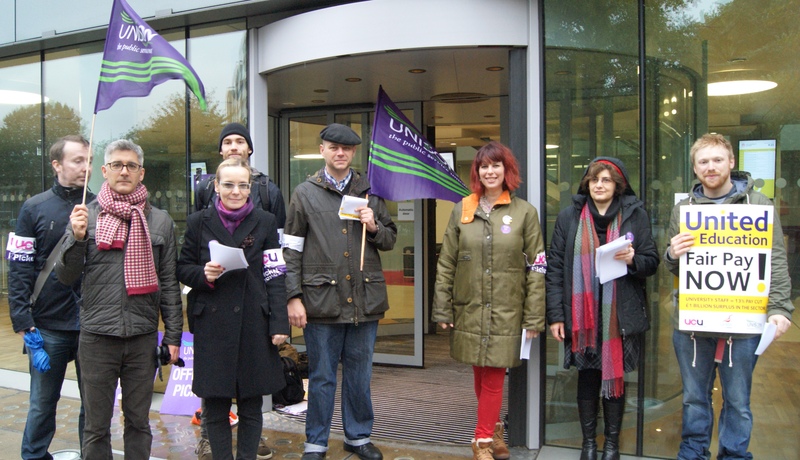 I firmly believe that working relationships are turned into friendship and even, dare I say it, comradeship in situations such as standing on a picket line together. Yet, this implies a kind of thick-as-thieves mentality which separates those on the picket from those not on the picket, and those active in the union from those not active, or not in the union. However, it’s not like that at all. 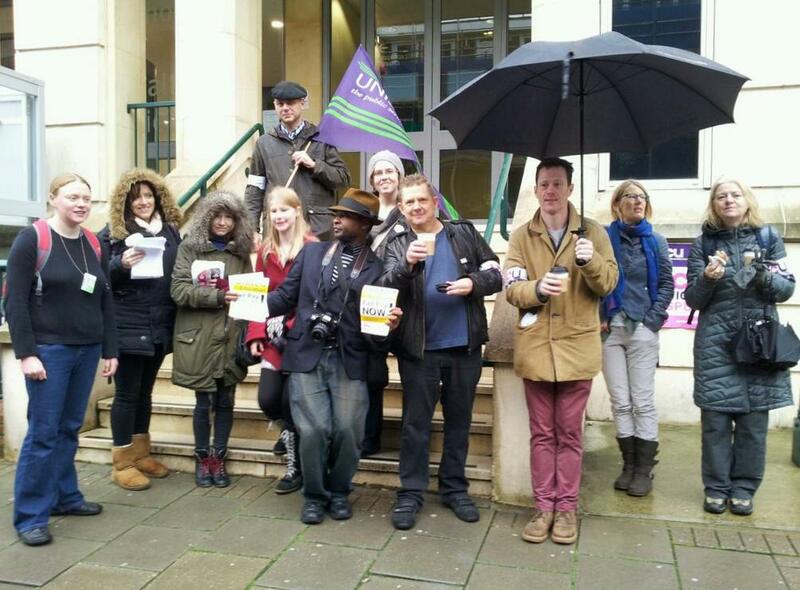 If you were on one of the many picket lines on 31st October, I hope like me that you found it uplifting to see familiar colleagues and also get together colleagues who you did not know were active union members. But if you weren’t there, I wonder why not. 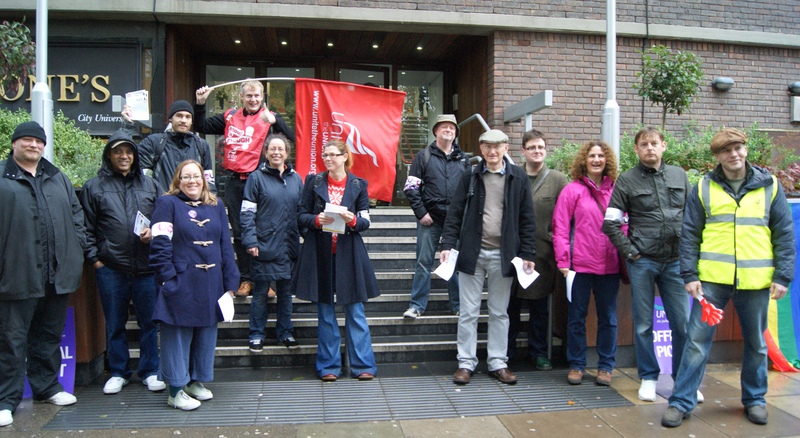 Many people, of course, see strike day as a welcome and needed day off – albeit unpaid – or find it difficult to be on the picket when the strike clashes with school holidays. Still, there are others who stay away from the picket line for quite different reasons. First there are those who feel pressured by management into working through the strike and where this occurs it is an absolute attack on the rights of those people to stand up with their colleagues and take a stand for what they believe. Second, however, many people are concerned that the picket line is a combative place. I do not doubt it has been in the past, may be again in the future, and still is so in many industries. But if you join us for the next round of industrial action you should not expect to be in a minority of outspoken radicals. You will, actually, probably be surprised to find that people crossing the picket line support you. Perhaps your voice, added to all the others, will be the one that prompts someone to reconsider and join us on the line themselves next time. That is why you are there. Besides this, you will find the line a welcoming, equal place. You may even be reminded, like I am, that being active in the union is one of the few ways that average employees can get a sense of community in a place such as ours. And if it’s not raining, you may even actually enjoy it. Personally I believe that we all have a responsibility to join the picket line wherever possible. Organisations need dedicated and motivated staff to succeed, even to function, and by temporarily withdrawing our labour on strike days we show our employers that they need us (and we all know that more than 4.4% were out on the last strike). The more of us are on the line, the more it is truly collective action, which is what trade unions are built on. So yes we each have an individual responsibility; but we do not bear it individually. You won’t be sticking your neck out by joining us for the next strike. You will, in fact, be taking part in national, cross-union action. 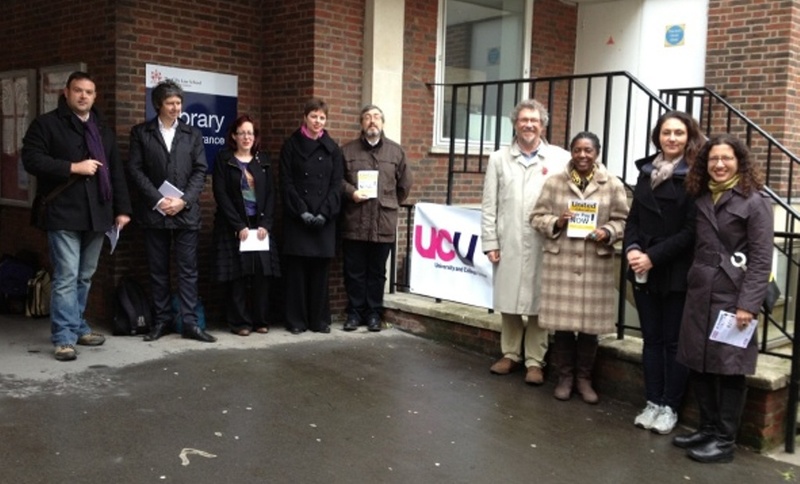 Should you feel any compunction about not only going out on strike, but joining the picket? No. Should you feel any shame about having been on strike when you return to work? No. Should you be worried about the impact on your students? Well who wouldn’t; but be in no doubt that if you do not take a stand at times like this, it is not just your pay and working conditions which will suffer, but your students’ education will ultimately suffer too. Many thanks to Alfredo Gomes for the photos.